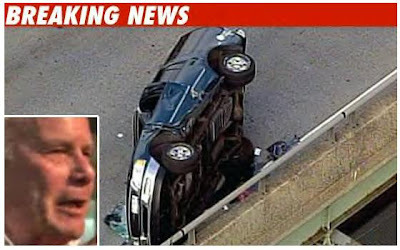 TMZ reports: NBC news anchor Tom Brokaw was involved in a 3-car accident in New York today around 1:00 PM Eastern Time. Tom Brokaw was in the car with his wife. A woman in one of the other cars died when she was thrown from her SUV. Brokaw and his wife, Meredith, are OK. The Brokaws just released the following statement.